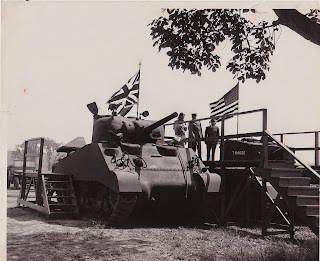 For Ordnance, the preparations for D Day had begun probably in 1941 with the setting up of the network of depots, including the new purpose built Bicester, capable to supplying a vast invading force. The Ordance team working as part of the 21st Army Group, lead first by Brigadier Swiney and then by former Seaforth Highlander, Brigadier Jim Denniston, had by April prepared plans and carried out live training. One major problem remained, they were disparate lay short of spare parts for the thousands of vehicles and tanks which would cross the channel. 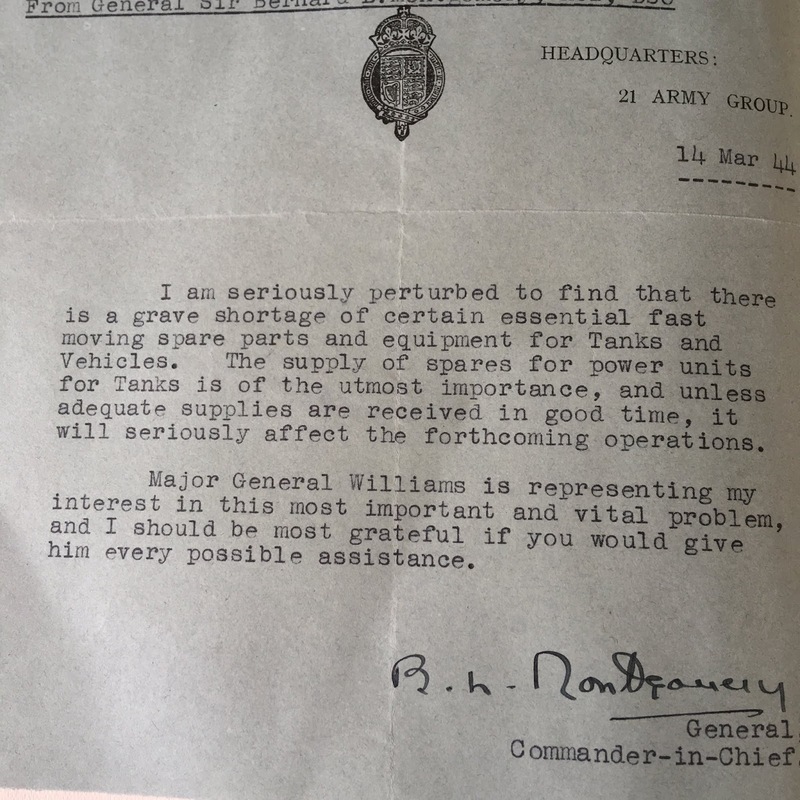 Politicians had placed emphasis on the headline number of finished vehicles produced and had ignored the massive need for spares. 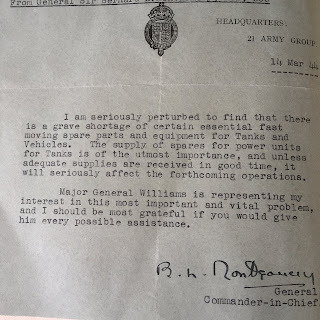 Bill Williams, armed with a letter from General Montgomery, boarded a plane at Hendon on 20 March on a mission to persuade bosses and workers at the big US motor companies to shift production on to spare parts. It is said he also persuaded a ship builder to produce a ship specifically to transport those spares across the Atlantic. In the course of three weeks he visited all the major companies including having meetings with Henry Ford senior and junior. He went to General Motors, Chrysler and Continental Motors. Mr Hoover acted as host when Bill visited the tyre companies, Firestone and Goodrich. He ended up at the Pentagon where a year earlier on his first trip he had had the same argument about spares. This time it succeeded.